Contact the Royal Bank of Scotland (RBS) on their UK phone number 03457 24 24 24 for technical support with online banking, to apply for a credit card and to check your current account balance. Phone the Royal Bank of Scotland (RBS) by calling their general enquiries contact number 03457 24 24 24 for customer service advice with your current account. For example you should call this number to request an extension on your overdraft, to open a new account and to add another account-holder. This is also their main telephone banking helpline where you can get a live update on the balance of your funds and transfer money to a different account. Alternatively if you use their online banking services you may phone this contact number to get technical support, to ensure that any payments have gone through and to get your login details reset in the event that your have forgotten either your username or your password. Please note that this telephone number only applies to customers living in Scotland, if you are an account-holder in England or Wales then please examine the table below carefully to find the appropriate phone number for you to call. Lines are open 24 hours a day, seven days a week however they will operate an automated service outside of their normal branch opening times. Calls to the RBS general enquiries phone number 03457 24 24 24 will cost you the same as making an equivalent call to any UK local number, meaning those which start with an 01 or 02 area code. This means you will pay a per-minute rate on top of a connection fee, both of which are determined by your landline or mobile provider. However if you have free minutes on your tariff you will be able to phone RBS for free as these can be used to make calls to any national 03 number. Contact RBS immediately on their 24-hour phone number 0370 600 0459 to report your bank card as lost or stolen so that they can cancel it, thus preventing it from being used fraudulently by criminals. You may phone their trained advisors on this helpline to report missing debit and credit cards meaning you will only have to note down a single contact number. Moreover if you have already reported a card as missing you may call this number to track the replacement and to get advice on which forms of ID you will need to withdraw money in their branches. This helpline is suitable only for reporting missing cards belonging to account-holders in Scotland, therefore if your account is held in other UK country then please phone the relevant emergency helpline from the table below. 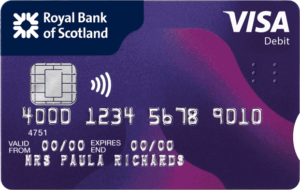 Contact the Royal Bank of Scotland (RBS) on their dedicated credit card phone number 0370 907 0010 to apply for a new card, to add your spouse to your existing card and to get an update on the APR interest rates which apply to your debt. If you would like to extend your credit limit you can call this number to file a request, however their decision will largely depend on your previous spending on the card as well as your credit history. By contrast if you would like to pay off your credit card debt early you can phone this number for advice on how to make the required balance transfer required to close your account. Contact the Royal Bank of Scotland (RBS) on their Edinburgh head office phone number 0131 556 8555 to reach their staff directly in order to make a complaint. You can call this helpline if you believe you have been unfairly denied a borrowing product such as a loan or mortgage, meaning you would like to appeal against their decision. Similarly if you have been underpaid on an insurance claim you can call this helpline to complain and receive the appropriate amount of compensation. If you would prefer to write to RBS to make a complaint you can send your letters to their head office using the postal address below, however remember not to include any sensitive account information which could be used by fraudsters to access your money. Phone RBS for free by calling their freephone contact number 0800 056 0567 for enquiries about your mortgage, where you can calculate how long it will take to repay your debt. Moreover if you would like to remortgage your property you can phone this helpline to find out how much money you will receive. If you are experiencing financial difficulties you should call them on this helpline to request an extension on your monthly deadline, as they may repossess your property if you are unable to keep up with your payments. Furthermore if you are moving home you can call this number to check if you can transfer your existing mortgage to your new house, however you may have to pay off any outstanding debt before you can close your current borrowing. Alternatively if you are a new mortgage customer for the Royal Bank of Scotland you can phone the relevant number from the table below, plus you may be able to get preferential rates if you are a first time buyer. Call the Royal Bank of Scotland (RBS) on their telephone contact number 0345 030 3216 if you have borrowed money from them as a loan which you would like to pay back. Alternatively you can phone this helpline if you would like to borrow more from them however it is likely that they will request that you meet with one of their advisors in your local UK branch to discuss your financial needs. If you are not yet a loan customer with RBS you can call the relevant freephone number from the table below for free. Contact RBS on their freephone telephone number 0800 051 1450 for free to get a quote for their home insurance policies, where you can also upgrade your cover by adding contents protection for you valuable possessions. Moreover if you are an existing policyholder you may dial this helpline to renew your policy or transfer it to a new address in the event that you move home, however your monthly premiums are likely to change if the value of your new property is different to your current one. If you are beset by an emergency such as fire, theft and flooding you can call this number to make a claim on your policy. Lines are open 8am-8pm Monday-Friday, 9am-5pm Saturday and 9am-5pm on some UK bank holidays therefore please note this Royal Bank of Scotland (RBS) department is closed on Sunday. Alternatively if you have a severe speech or hearing impediment you can call their dedicated textphone number 0800 051 3030 which is also free of charge from all landline and mobile devices. Contact the Royal Bank of Scotland (RBS) for free to manage your car insurance policy by calling their freephone number 0800 158 2493, where you can renew your motor policy and request roadside assistance in the event that your vehicle breaks down. You should also call this helpline to make a claim on your car insurance policy in the event that you are involved in an accident, however please be aware that this will affect your no claims discount. RBS stopped offering new quotes for their car insurance policies on 12th January 2017 however if you are an existing policyholder you will still be able to get customer service advice by calling this number. Phone RBS life insurance customer services for free on their freephone contact number 0800 455 565 to check if you are eligible to get a quote for cover given your previous medical history and age. Another reason for calling this helpline is to increase or decrease the lump sum payable on your death, although your monthly premiums will change accordingly. In the sad circumstance that a loved one passed away you can call their specially trained team of advisors to get sensitive bereavement advice on the probate requirements for you to make a claim on their RBS life insurance policy. Contact the Royal Bank of Scotland (RBS) on their private banking telephone number 0333 202 3332 to arrange to speak to your personal banking manager either over the phone or in your local branch. Furthermore you can call this helpline to check the latest results of the investment funds your money is held in and to deposit extra finances into these stocks. Alternatively if you are currently overseas you can call their private international phone number +44 131 278 3507 to contact your fund manager from abroad, however please note that this will cost more than making the equivalent UK-only call and that the price will depend on which country you are calling from. Contact RBS business enquiries by calling their UK phone number 0345 600 2230 for dedicated support when managing your company’s accounts. For example if you are moving premises or changing the nominated representatives on your account you can call this helpline to update them. Similarly if you would like to check how much you still have to pay back on any business loans you have borrowed from them you can phone their staff for detailed information about your monthly repayments. Alternatively if you hold a business credit card with RBS you may examine the table below to identify the correct UK, textphone or international telephone number for you to call. 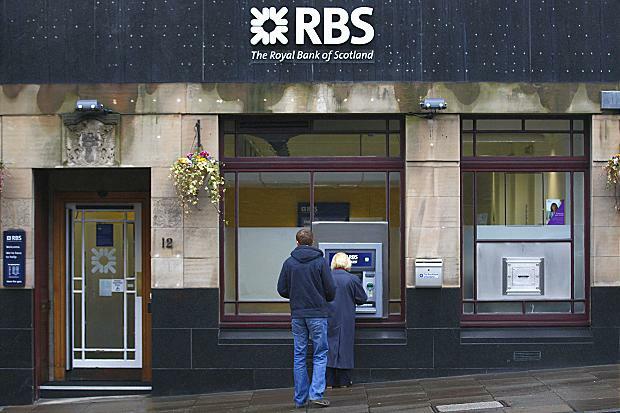 The Royal Bank of Scotland (RBS) operate a number of ways in which you can contact them thus reflecting their status as one of the major banks in the UK, these include online forms, postal addresses and profiles on social media websites manned by their customer service staff. If you would like to write to RBS you may use their dedicated customer service postal address provided below, alternatively you can write to your local branch or arrange an appointment with them by using the official RBS branch locator. You can email the Royal Bank of Scotland by visiting their customer support website, where you can also find helpful frequently asked questions (FAQs) which may be relevant to your enquiry as well as live web chat tabs. As aforementioned the Royal Bank of Scotland (RBS) have customer service staff based on their global social media profiles who you can contact by messaging them, you can also use these profiles to check out their promotional interest rates.